The S&P 500 is in correction territory for the year, but its increase over the past few years has had a substantial impact on valuations. Notably, ever since the S&P’s upward rise in 2009, the average price-earnings ratio has increased significantly, from just under 15.5x in 2010 to a high of over 25x and its current 20x. A complaint often heard involves cheap stocks (or low P/E stocks) becoming difficult to discern from value traps. However, this perception does not often reflect reality. Many stocks have enjoyed large increases in earnings, but for whatever reason, the stock price remains stuck at a lower valuation. Sometimes, even S&P 500 stocks fall into this category. 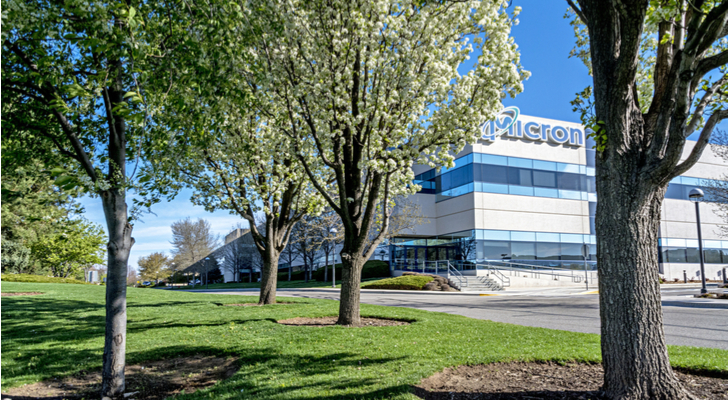 Micron Technology, Inc. (NASDAQ:MU) remains one of the few producers of the NAND (flash) and DRAM memory that is critical to the technology we use every day. Both types of memory had been experiencing shortages over the last couple of years. This shortage pushed the stock price higher in 2017, but the broader stock market rout as cause high-growth stocks like MU to take a hit. As a result, the stock has tanked 7% from the year-ago level. The current MU stock price places it at a low P/E ratio — only 2.98! This is quite low, considering the annual growth rate has averaged almost 20% over the last five years. And when growth is figured in the price-earnings-to-growth ratio stands at around 0.14. The low ratios could be related to the cyclical nature of the stock, as history has shown that MU rises and falls with memory prices. With an average analyst rating of $58.30, MU stands to gains 70%-plus from its current perch. Discovery Communications Inc. (NASDAQ:DISCA) is a media company best known for channels such as Discovery Channel, Animal Planet and TLC. Like most cable channels, the cord-cutting trend initiated by Netflix, Inc. (NASDAQ:NFLX) and other streaming services has hurt Discovery. Also critical to rebranding, Discovery acquired Scripps Networks Interactive, Inc. (NASDAQ:SNI). This acquisition will further increase the size of Discovery’s content library. It’s this content library that holds sway with an estimated 400,000 “superfans.” It also purchased a majority stake in OWN, Oprah Winfrey’s cable network. At just over 12, DISCA stock has a low P/E. Over the last five years, annual growth has averaged almost 10%. This places the PEG ratio at 1.83. Notably, the stock has lost more than 30% its value over the last five years; however, it rose roughly 25% year-to-date and may finally be on a long-term uptrend. Earnings growth has plateaued over the last couple of years, but double-digit annual increases are on tap through 2020. Like many channels, DISCA has struggled with reduced cable viewership. However, the company added content from Scripps and OWN recently. And with its initiatives to offer a la carte programming to its core “superfans” and fans in general, DISCA is poised to resume growth and offer more of the programming that endeared Discovery to so many before. 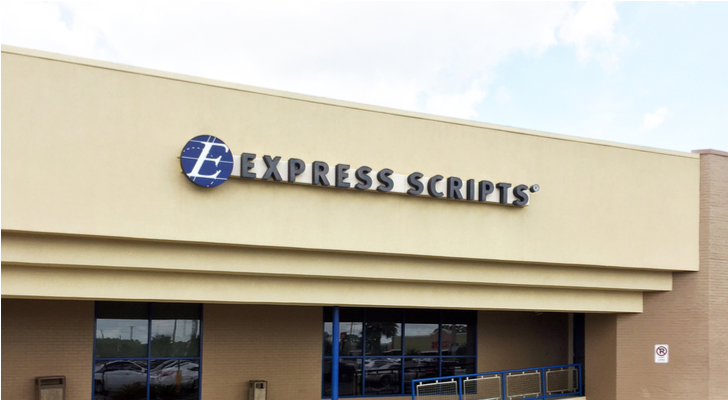 Express Scripts Holding Company (NASDAQ:ESRX) stands as the largest pharmacy benefit management company in the United States. The company performs many pharmacy-related services, such as home delivery, utilization reviews and medical/drug analysis services. Among its largest clients is Tricare, the civilian care component of the Military Health System. ESRX also sells Medicare prescription drug plans, a program that recently completed its 2018 enrollment season. Express continues to grow revenue at a modest pace, while net income has grown by an average of 16%-per-year over the last five years. Analysts expect another year of profit growth near 30% in fiscal 2018 before it slows down in subsequent years. The increasing numbers of baby boomers aging into Medicare have helped drive most of this growth. With the size of this population and its dependence on pharmaceuticals only increasing, Express Scripts should grow along with it. Despite this growth, ESRX stock trades at a low P/E ratio of 11.3. This places the PEG ratio at just under 1 and compares well with other drug companies, such as UnitedHealth Group Inc (NYSE:UNH) with a 20x P/E and CVS Health Corp (NYSE:CVS) with a multiple nearing 24. Moreover, the ESRX stock price may finally be ready to resume growth. The stock has risen nearly 50% in the past year alone! As of this writing, Will Healy was long MU stock. Article printed from InvestorPlace Media, https://investorplace.com/2018/12/3-cheap-stocks-to-buy-now/.